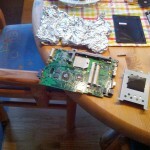 Posted 6:11 pm by jens & filed under Repair. 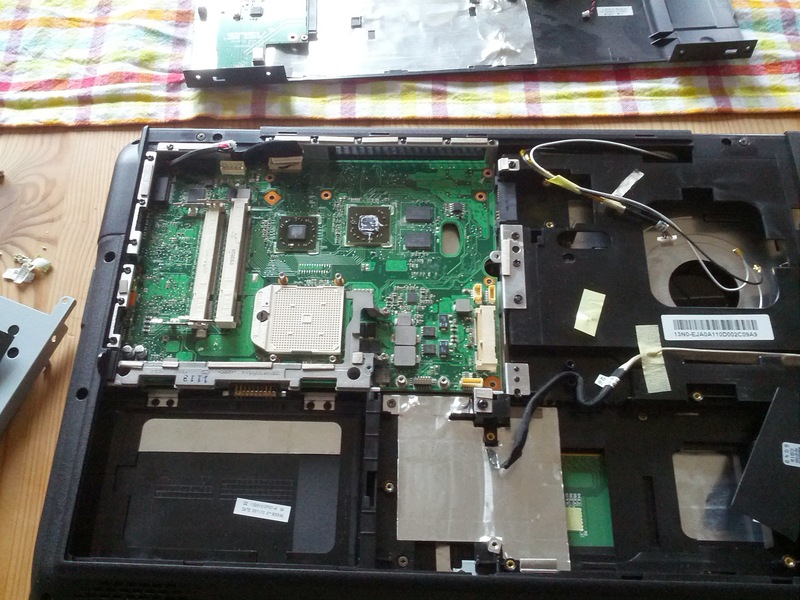 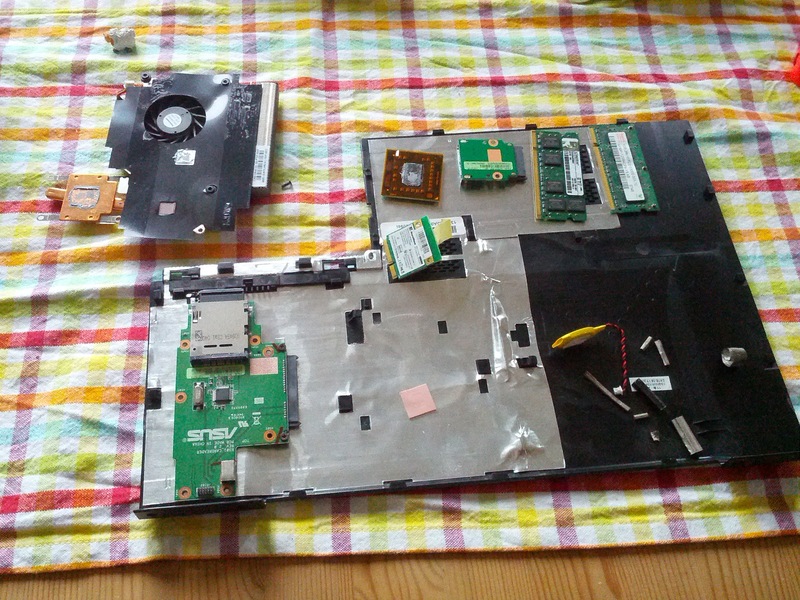 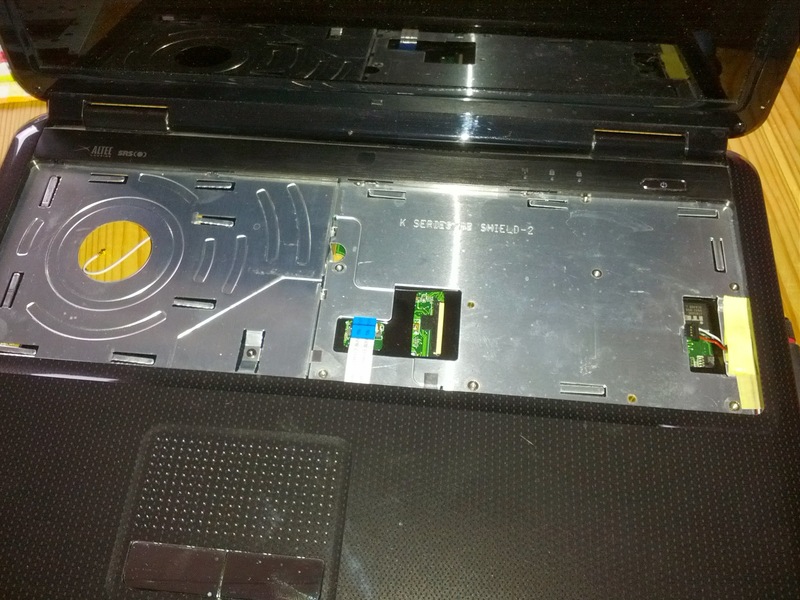 I have a broken notebook (ASUS X5DAB) lying around and wanted to use some spare parts of it (Display, RAM, …). 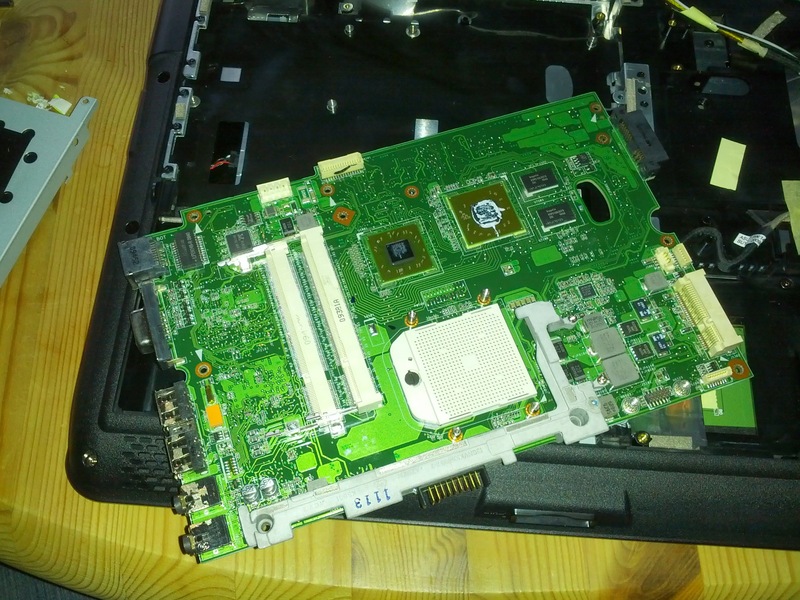 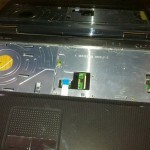 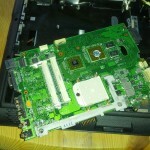 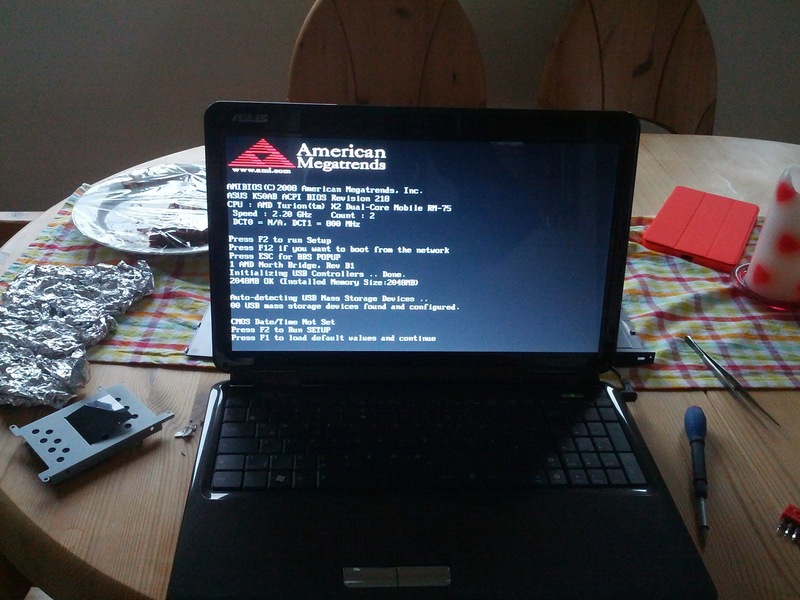 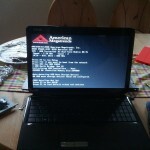 The notebook turns the fans on but shows no image, neither on display nor on VGA. 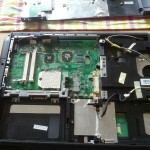 That seams to be a common problem with this notebook due to bad solder connections on the graphics chip. 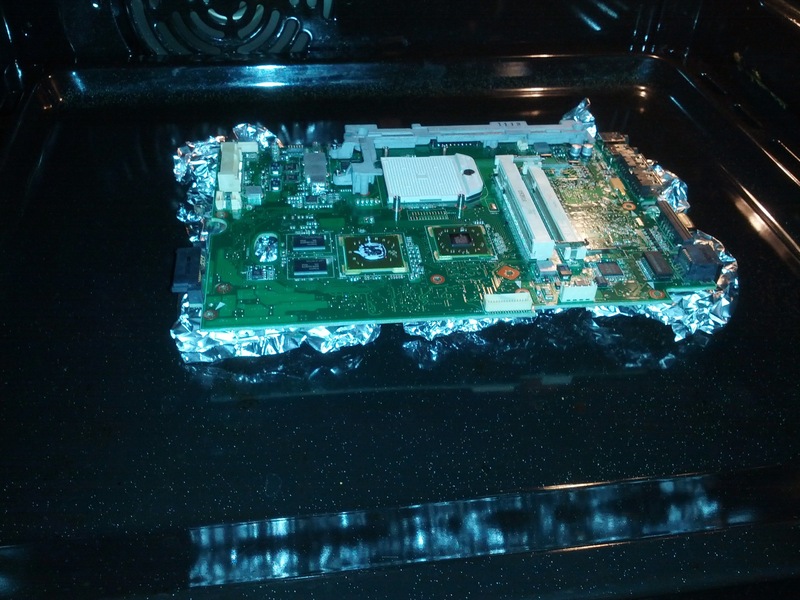 When I recently saw this article about resoldering a Macbook Pro in the oven, I taught that might be worth a try on the notebook. 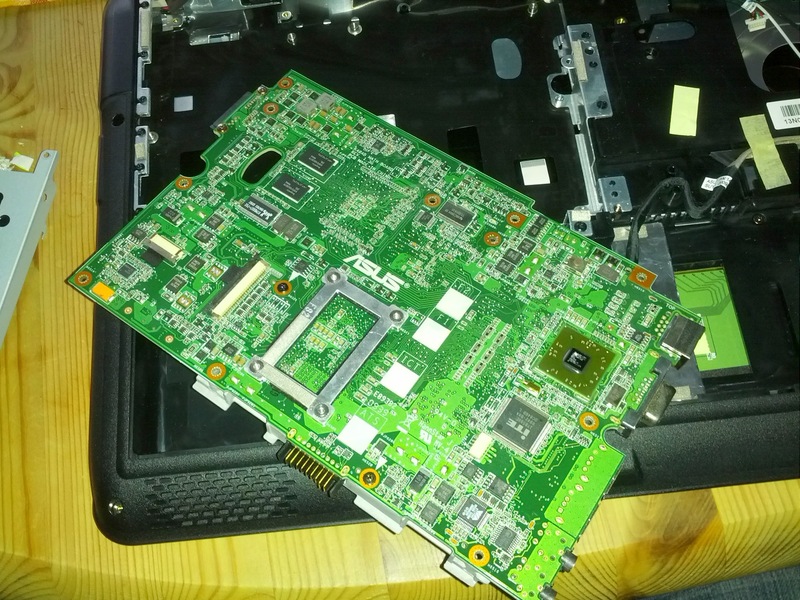 No I stripped the mainboard from all stickers and foils. 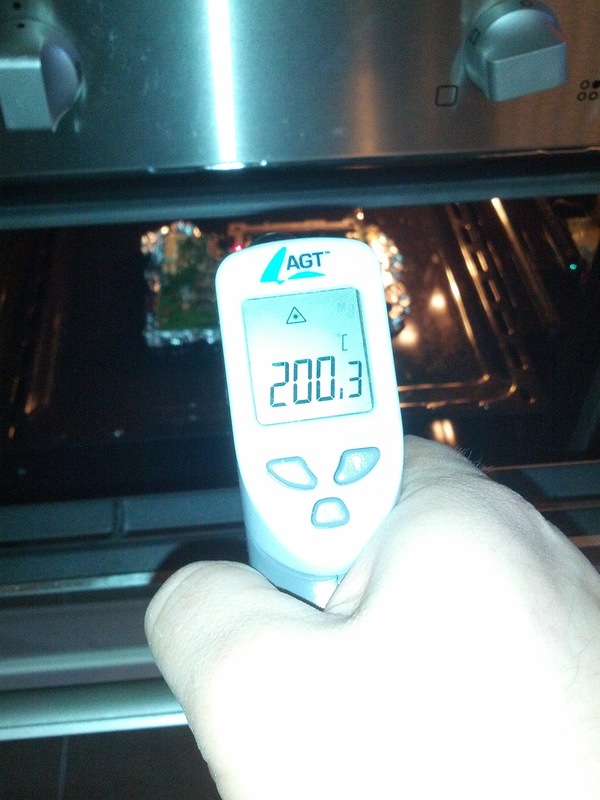 The oven was set to 200°C, heating up takes about 6 minutes. 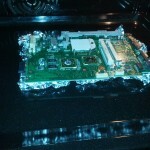 After reaching the temperature, I left it on for further 7 minutes. 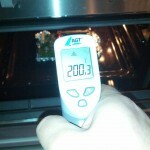 When the time was over, I turned the oven off and opened the for 2-3 cm to let it slowly cool down for about 30 minutes. 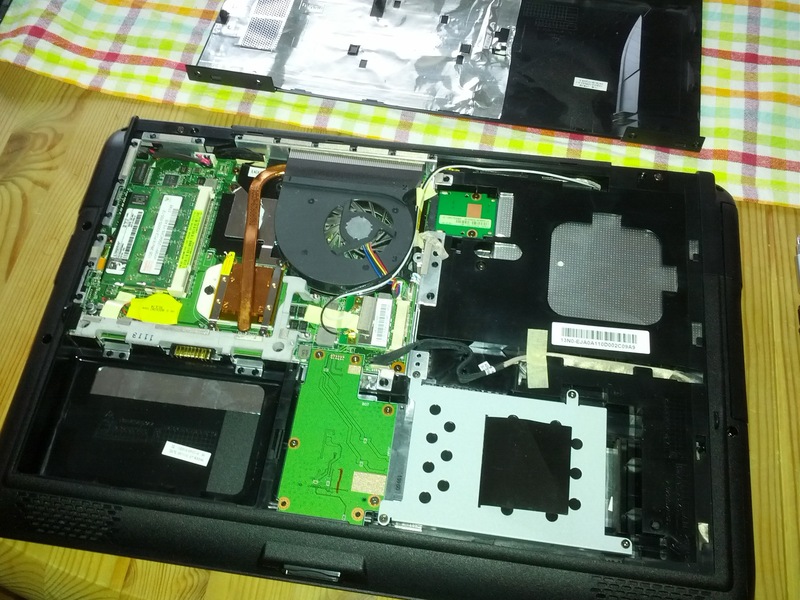 Then just quickly assembled (Display, CPU, RAM, Power) and … surprise: it works!!! 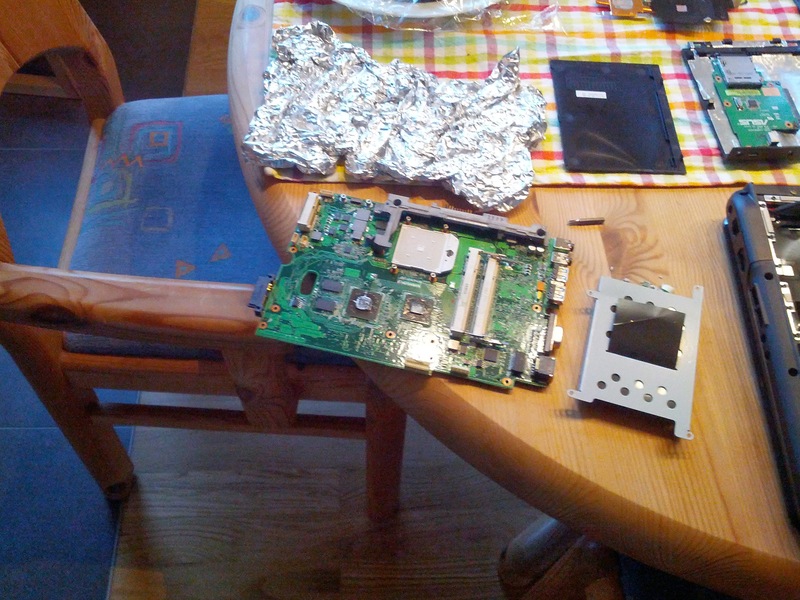 The CPU still gets quite hot even when idle (what is not unusual for AMD Turion) so I think I should add some new thermal paste to the heat sink. 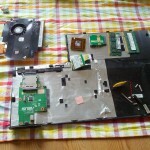 Although I have no clue on how long it keeps up, but for the moment it seems OK.